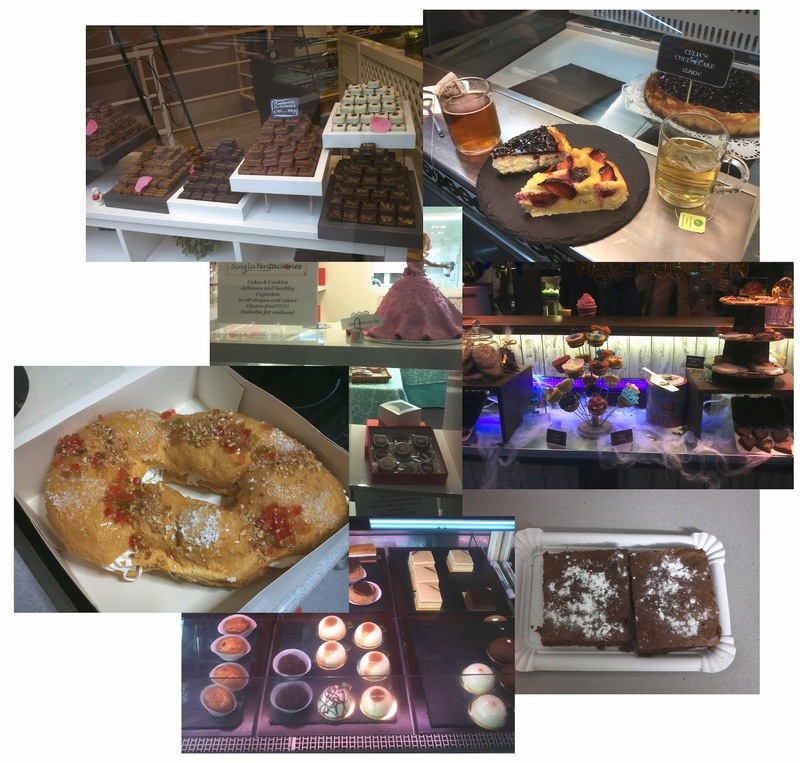 I want to share with you the gluten-free bakeries I know all over Spain. Fortunately, I have been in some of them, I have picked others in the coeliacs / celiacs associations websites of every region of Spain, and I have known the rest of them by the social networks. Many of the establishments are controlled by one coeliacs /celiacs association. All the bakeries of the list make artisan products, some make only sweets: cakes, biscuits, but others also bake salty products as pies, sandwiches, etc. Most establishments only bake gluten-free products. You can have a coffee or a drink in some on them as well. I will try to keep the list updated with the new places. 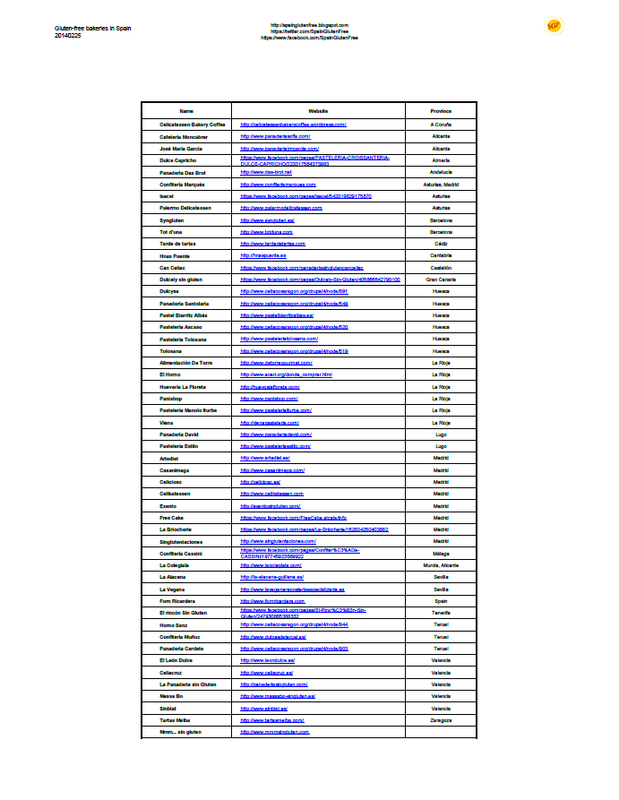 If you know any gluten-free bakery that is not in the list, please, let me know. Specialized gluten-free general products shops are available at this link. Ups, se me ha traspapelado OhCelia!, es una de mis favoritas! Enseguida la añado. Las otras no las conocía, tomo nota, gracias!! ¡Buen trabajo! Tendríamos que hacer una ruta de pastelería en pasteleria. Pues ya somos tres a los que nos gusta el dulce. Me conformo con las sobras... Tks. In Girona I found a small place called Bye Bye Blat- all gluten free from a few different bakers in the area. Have your heard of them?